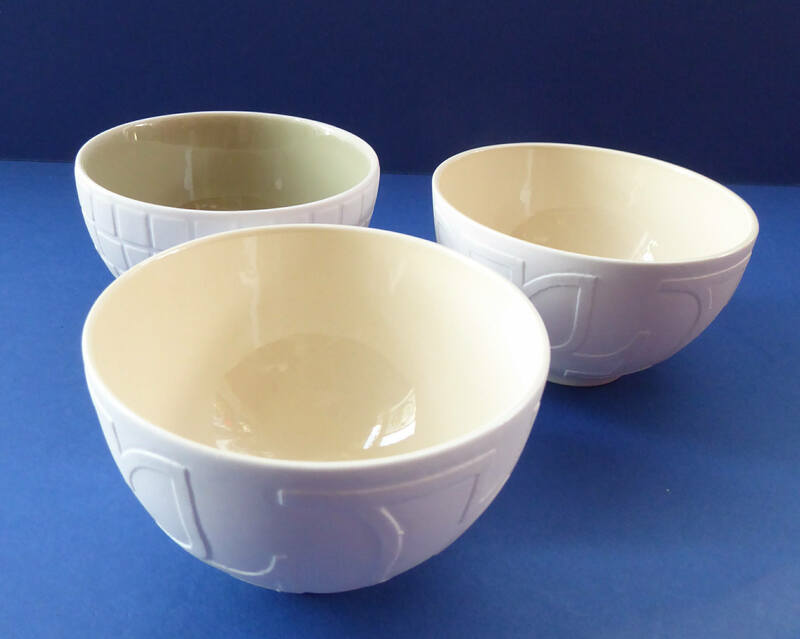 This is a nice little set of three vintage Swedish bowls - all the same size, with glossy interiors and textured matt white exteriors. 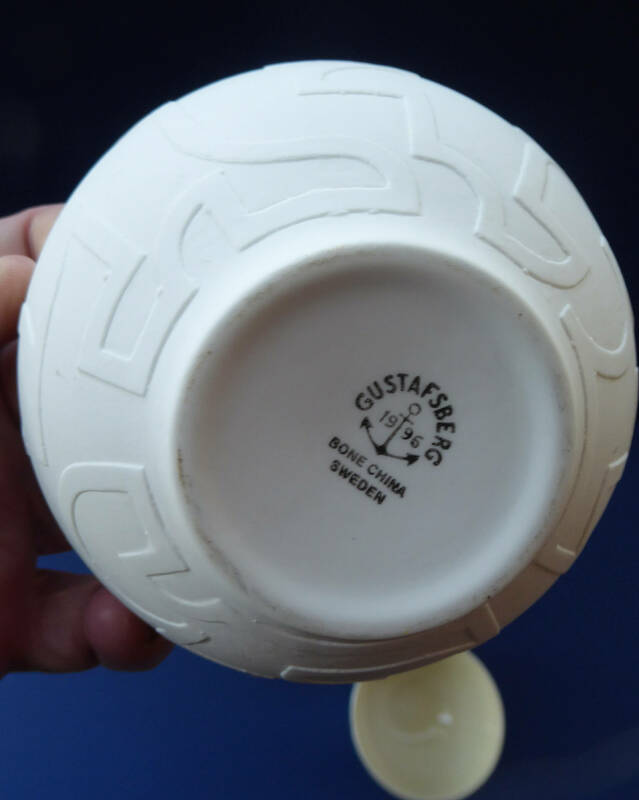 Two form exact matches and have the Gustavsberg backstamp on the base. The third one is interestingly the same size and with glazed interior and texture exterior - but stangely without any maker's name on the base. 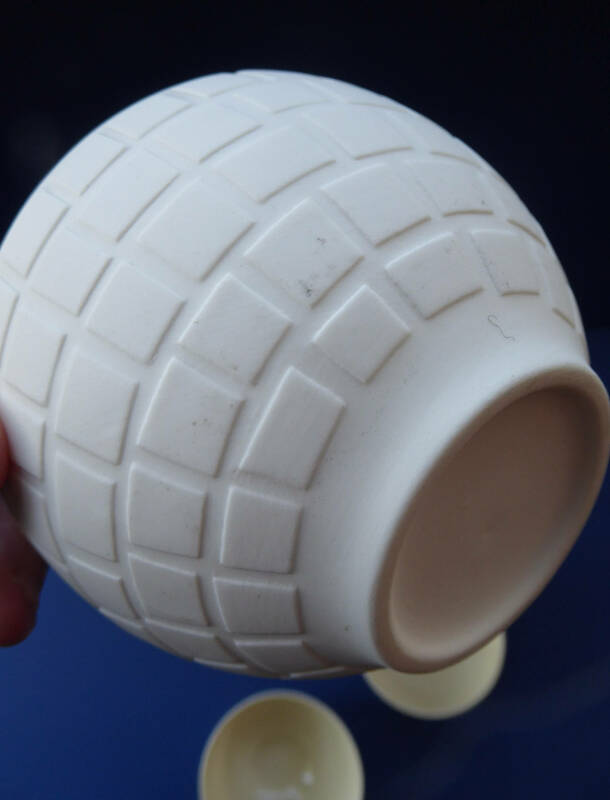 The Gustavsberg marked bowls are a pale buttery yellow colour inside - and the other with the igloo block texture outside - has a pale celadon gloss interior. 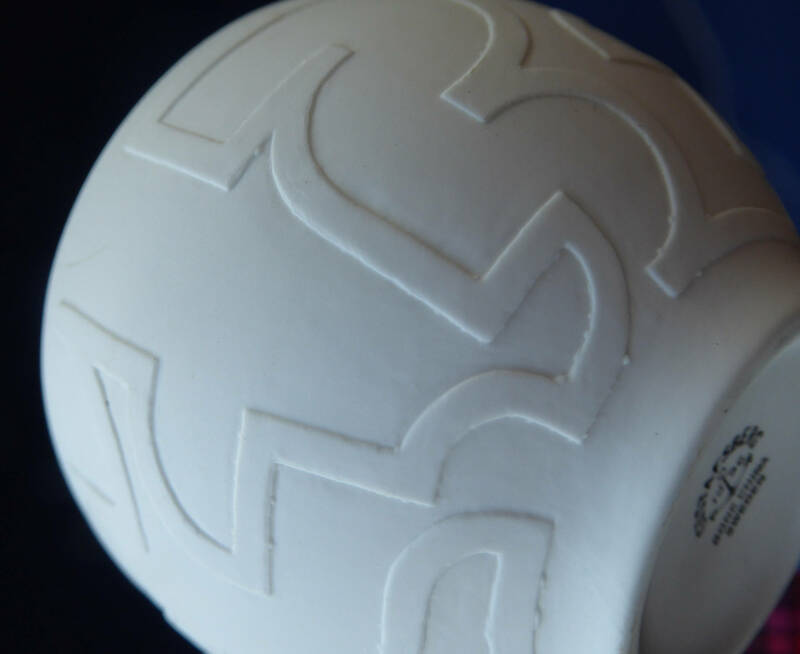 Each bowl is 2 1/2 inches in height and the diameter at the top of each is 4 1/4 inches. 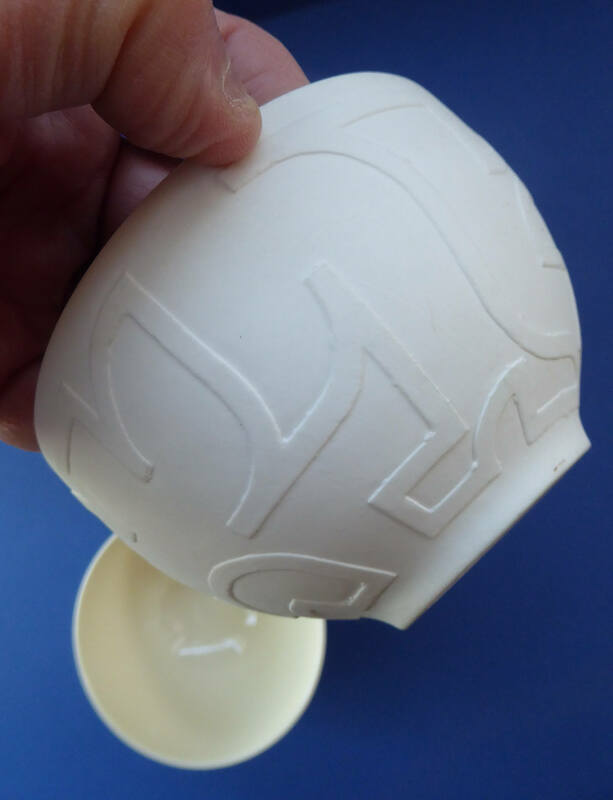 The price here is for all three of these gorgeous Scandinavian bowls.